At least 11 sailors have died, Russian Maritime Agency was quoted by RT news, a Russian television network. 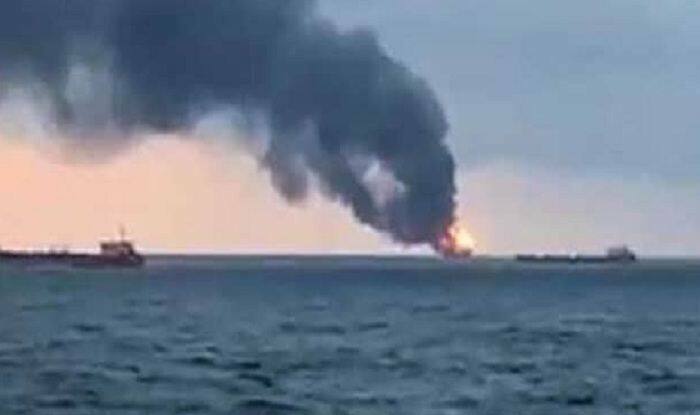 New Delhi: 11 people were killed after two ships caught fire in the Kerch Strait separating Crimea from Russia. Reports claimed the sailors killed were from India, Turkey and Libya. The fire broke out on Monday as the two ships were transferring fuel from one to the other. One of the ships, the Candy, had a 17-member crew, including nine Turkish citizens and eight Indian nationals. Some three dozen sailors managed to escape the burning ships by jumping off the vessels. Twelve persons have so far been rescued from the sea. Nine sailors are still listed as missing, the spokesperson added.